Ultimate Fighting Championship (UFC), a US-based worldwide mixed martial arts organization, has set up a subsidiary in Russia, in partnership with the Russia-China Investment Fund (RCIF, established by the Russian Direct Investment Fund and China Investment Corporation) and UAE's Mubadala, RBC writes on Wednesday. The newly established company will be involved in preparing and holding sports events under the UFC brand, "as well as other UFC focus areas in the field of mixed martial arts" in Russia and the CIS, including the manufacturing of licensed products, the ownership of rights in released media content, online trade and the execution of sponsorship contracts, a source in RCIF’s press service told the newspaper. He added that "all sides will be investing funds" in the organization of the UFC-branded tournaments within the joint venture, which has obtained all rights for using the brand on Russian soil. The launch of the project, including the arrangement of fighting events, leasing space, advertising and payment of athletes, will require over 500 mln rubles ($7.9 mln), Vedomosti says with reference to a source familiar with the matter. For the RCIF, this is a portfolio investment, a source in the Russian Direct Investment Fund told the paper. The Fund plans to withdraw from the venture in around five years as soon as it reaches a stable level of cash flow. The UFC organizes around 40 events each year, but few of them have a vast reach, Telesport’s Pyotr Makarenko told Vedomosti, noting the time difference as a reason since tournaments are mostly broadcasted from North America when it is late night in Russia. The RDIF hopes that now several events per year will be held in Russia, with the first showdown scheduled for September 18, 2018. That said, the amount of people going in for sports has soared by 20% over the past five years, which influenced the number of total audiences of sports events, a source in the Fund told Vedomosti. He estimates that the UFC brand is recognized by over 20 mln fans, so its entrance to the Russian market will help it capitalize on the popularity of this kind of sport. 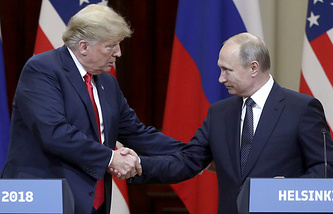 The issue of returning imprisoned Russian pilot Konstantin Yaroshenko, who was sentenced to 20 years behind bars in the United States in 2011, to his homeland was not on the agenda of the Russian-US presidential summit in Helsinki, Izvestia reports, citing Kremlin Spokesman Dmitry Peskov. "The issue of Yaroshenko’s case was not raised," the spokesman told the paper. This comes after Russian Human Rights Commissioner Tatyana Moskalkova vowed to request adding this issue to the agenda of the Helsinki talks after she had received a letter from the pilot, in which he complained to the ombudsman of torture, poor prison conditions and the absence of medical treatment. Moskalkova noted that the Russian pilot’s potential pardon would become a key step towards improving relations between Moscow and Washington. Yaroshenko himself does not intend to sit idle as he and his family plans to fight for his return to Russia as soon as possible. "I am not guilty of anything. I was charged with something I did not do, and was given a long prison term of 20 years claiming that I "was ready to commit a crime". I think that it would have been much easier for the Americans to extradite me long ago," he told Izvestia. Yaroshenko believes his arrest is a setup and his case is fabricated. The pilot was whisked off to the US from Liberia, where he had been arrested on May 28, 2010. 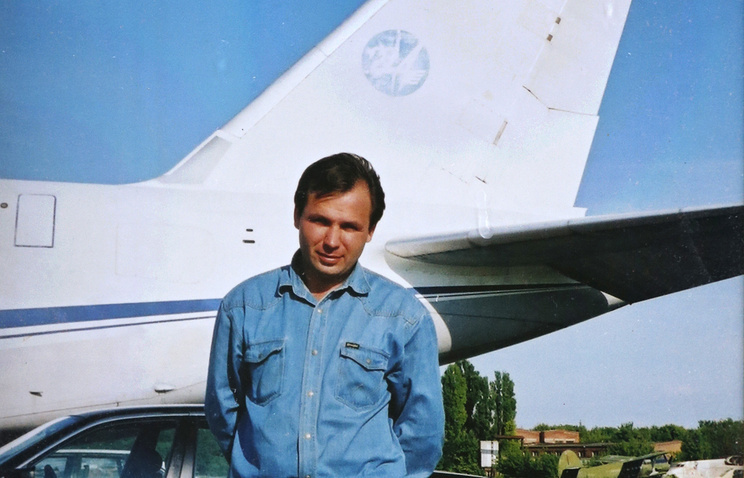 Undercover agents from the US Drug Enforcement Administration (DEA) allegedly found Yaroshenko guilty of criminal intent to smuggle a large cocaine shipment. Business France, a French government agency responsible for fostering export growth and promoting the nation’s image as a business-oriented country, may hold a tender on promoting its interests in Russia in the autumn, Kommersant writes citing a French diplomatic source. "The terms of the bid have not yet been unveiled, though one can expect a prominent structure in France, such as the Franco-Russian Chamber of Commerce and Industry or MEF (the Finance Ministry) to participate in it," the source said. The move can enable the Russian office of Business France to resume operations in the country outside of the French embassy, the paper adds. This follows the closure of the French trade mission in Moscow announced earlier this week, "in connection with the notification by Russian authorities that Business France is no longer authorized to operate in Russia within the framework of the provisions of French legislation," as stated by the French embassy. On Tuesday, July 17, Russia’s Foreign Ministry confirmed receiving the note on the closure of the trade mission. Experts and diplomats interviewed by Kommersant assume that the mixed legal status of the agency, both in Russia and in France, is the main reason for the recent problems. Officially, it is a "state commercial and industrial enterprise", a term used in French law for defining a number of companies with state participation. The agency, established on January 1, 2015 as a merger of Ubifrance and Invest in France, is set to be a partner of commercial companies focusing on French imports and exports and attracting investments to France. A source close to the French embassy noted, "according to Russian legislation, the operations of Business France were not legal." "The service was involved in commercial operations, collecting payments from companies for intermediary and logistics services, while an embassy cannot be involved in commercial activities," he explained to the paper. There are no plans to create a special taxation plan for miners and owners of cryptocurrencies as of now, Chairman of the Russian State Duma’s (lower house) Financial Markets Committee Anatoly Aksakov told Izvestia. Currently a separate working group in the Duma is drawing up amendments for the second reading of the bill on digital financial assets (cryptocurrencies). Aksakov, who is one of the authors of the draft law, expects it to be adopted during the autumn session. In its positive review on the bill, the government has tasked the lower house with exploring the issue of taxation on mining and turnover of cryptocurrencies for the second reading. According to Aksakov, the document will not specify particular tax regimes for owners of digital money, meaning that the approaches of the current tax code will be applied to mining and cryptocurrencies turnover. However, the deputy did not rule out that separate tax arrangements could be created for those aims if the government puts forward such an initiative. "If (the government) wants to describe those types of business separately, it will do so. So far we do not describe the tax issues, which means that the tax code is valid for this type of business," he told the paper. A source in the Finance Ministry told Izvestia that settlement of the tax issue is next on the agenda after describing the cryptocurrency definition. Meanwhile, there are no plans to permit digital payments in daily transactions between individuals since the ruble is the only legal tender in Russia. Chairman of Russia’s Central Bank Elvira Nabiullina has repeatedly stressed that the stance of the regulator towards cryptocurrencies remains unchanged, as it does not support their authorization as legal tender, but sees prospects in its blockchain technology. She also said that cryptocurrencies would not be admitted to the Russian market being ‘quasi-money’. Russian President Vladimir Putin said in October 2017, that the use of cryptocurrencies carries serious risks, being an opportunity for money laundering, evading taxes and financing terrorism, and spreading fraudulent schemes, where the public may become victims. However, he called for taking advantage of the new technology’s solutions in the banking sector. Prior to the State Duma’s (lower house) review of the government’s bill on raising the retirement age in the first reading later this week, the social policy committee ruled that it merits approval after a heated discussion on Tuesday. The United Russia faction has been instructed by the party’s leadership to cast "a consolidated vote for" the bill, Kommersant writes. Agreements on ‘red lines’ for a discussion of hard-hitting topics is always made with political forces close to authorities, a source close to the Kremlin told Vedomosti. In the Duma, those borders are defined by the lower house’s speaker Vyacheslav Volodin, whose aides thoroughly monitor the agreements being met, the source added. Meanwhile, the Communist Party, the Liberal Democratic Party and Fair Russia factions will be voting against the bill on July 19, Kommersant said. The position of the Communist Party is very hardline, according to its member Yuri Afonin, who denies any sort of agreements, Vedomosti says. "We have outlined our position, it will not change," he said. According to Oleg Shein, a member of Fair Russia, the party has a principal position and intends to fight for voters’ interests. The Liberal Democratic Party is "outspokenly critical of the bill," MP Igor Lebedev said, adding that the faction will vote against the initiative, and that no discussions have been held with factions prior to the first reading. The draft bill on changes to the national pension system submitted by the government to the State Duma, stipulate a gradual increase in the retirement age to 65 for men (by 2028) and 63 for women (by 2034). The authorities plan to raise the retirement age gradually starting from 2019. Currently, the retirement age for men and women is 60 and 55 years, respectively. The hike in the retirement age does not affect current pensioners (about 46.5 mln people.) They will continue to receive their pensions and social benefits that were earmarked for them earlier. According to Prime Minister Dmitry Medvedev’s forecast, thanks to the implementation of the retirement reform, pensions will grow by about 1,000 rubles ($16) annually.